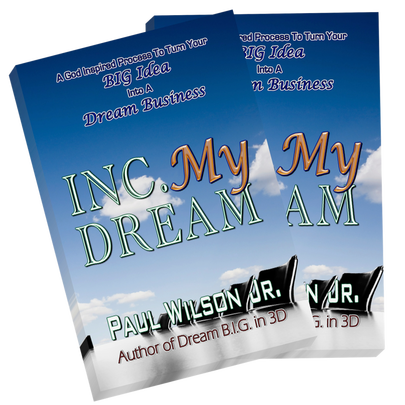 Inc My Dream by Paul Wilson Jr | Turn Your BIG Idea Into A Dream Business - Club D.A.R.E. Inc. My Dream is a powerful strategic planning system for Christian entrepreneurs who sense a Kingdom calling to operate a Business as Mission/Ministry (BAM) venture. 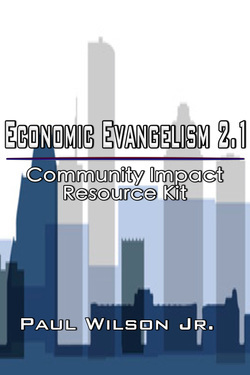 This interactive workbook is packed with Biblical insights, best practices, practical instructions, and inspirational energy to help you build a profitable and sustainable strategy around your God-given business idea. Learn what is Business as Ministry and what it means to be called into marketplace ministry as a Christian C.E.O. "Tapping Into the Mind of Christ"
For Startups and Starting Over! Transform Your B.I.G. Idea Into a B.I.G. Impact! Think it... Align your life purpose with your business vision. Ink it... Refine your business idea. Do it… Define your strategic plan to build a profitable and sustainable business. God is the original and ultimate entrepreneur. And as stated in Joel 2, God is releasing B.I.G. ideas through dreams and visions as part of His process to manifest His Heavenly Kingdom on earth. His desire for many of these ideas is that His children would receive and transform them into profitable and sustainable businesses that bless people and glorify Him. Inc. My Dream helps you to tap into His mind and activate the divine characteristics of entrepreneurship that He put in you in order to grow a purpose-fulfilling and prosperous business. If God has given you an idea for a business, it's time for you to apply works to your faith, so that you can effectively incorporate His Kingdom and your purpose into your life. Don't delay any longer. Let's go! Create your impact. Transform your community. Dream B.I.G. 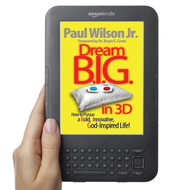 in 3D: How to Pursue a Bold, Innovative, God-Inspired Life! Have you ever wondered what your true life’s work really looked like? Not the part that resembles the mundane tired existence you so hesitantly pursue everyday but the bold, innovative, passionate you bursting with brilliant ideas, poignant solutions and inspiration. The only thing that stands in your way is the gap between your frustrated reality and the true vision you see when you dream. Take the limits off! Pursue your passion! It's time or you to live B.I.G. - Bold, Innovative, and God-inspired! Click here to send an email requesting an appearance, workshop, or to request more information.